You can see the rest on January 8 at CES in Las Vegas. Mercedes-Benz couldn’t let 2018 ride off into the sunset without dishing up a teaser for its new CLA-Class. 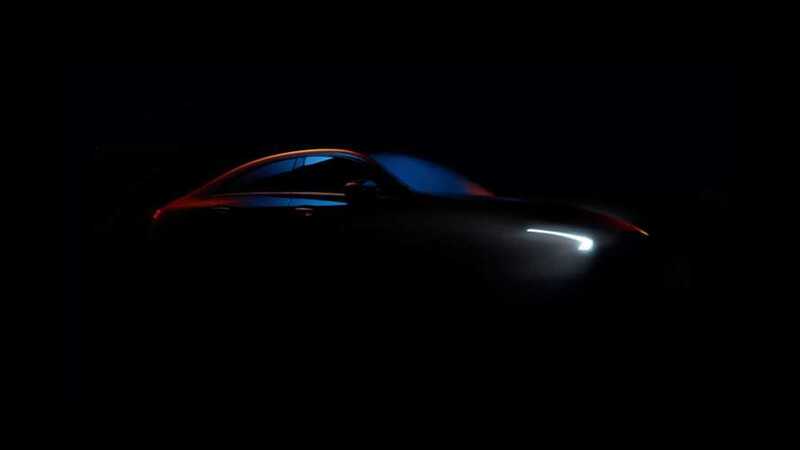 The suave sedan is getting a makeover for the 2020 model year and it will debut in just a couple weeks. We’ve seen plenty of spy photos, and a previous teaser revealed the slightest of outlines. The new one shows just a bit more, including a fresh set of headlights. With the A-Class sedan adopting the entry-level role, the CLA-Class will serve as a slightly upscale variant filled with technology. That’s why the automaker isn’t revealing the car at the North American International Auto Show in Detroit – in fact, Mercedes won’t even be there. Instead, the cover will lift at the Consumer Electronics Show in Las Vegas, a sprawling event that in recent years has become a popular venue for manufacturers to show off new technology. Holding a full reveal for an entire car at the event isn’t uncharted waters, but seeing Mercedes nix a major auto show to reveal something like the CLA-Class at an electronics expo is a bit of a twist. However, it’s a sign of the times. Vehicles have never been so thoroughly wired and connected as they are right now, and Merc’s MBUX infotainment system is arguably at the head of the class. It’s just a year old, but word is that Stuttgart engineers already have some upgrades in store for the “Mercedes-Benz User Experience.” We don’t yet know the specific details of what all that entails, but we’re expecting additional functionality with enhancements to the “intuitive” nature of the system. And it will all be part of the new CLA. There will be other changes to the refreshed CLA-Class as well, not the least of which being new headlights Mercedes is teasing. We’ve also caught the hopped-up AMG versions out testing already, though we’re still likely a few months away from seeing those models revealed. All questions on the tweaked CLA-Class will be answered January 8 at the 2019 Consumer Electronics Show.